The on-demand booking platform that gives you access to all the best local Cleaners at the tap of a button. Book a great cleaner when you need one, without having to wait or ask friends for references. Our cleaners are the best in the business and are rated and reviewed after every clean. We’re cashless & secure for your convenience, so no money changes hands during your clean. Want to know more about FlashMop? to make finding a great local cleaner as easy as it should be. 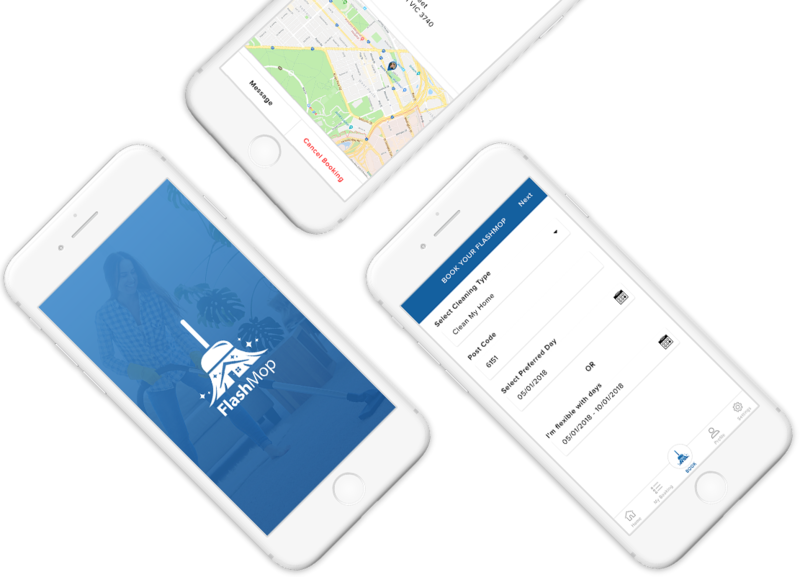 Created right here in Perth, in October 2018, FlashMop is a booking app that connects busy households with great local cleaners. Are you our next Cleaning Partner? Join FlashMop as a Cleaning Partner and find new customers, add to your income and run your own schedule. With no signup fees or lock-in contracts, you’ve got nothing to lose and everything to gain. Get a sparkling good clean… in a flash! We get it. Life gets busy sometimes, and it can be really hard to find the time to keep on top of the housework and do all the other things you have to do. Let FlashMop take care of things around the house while you focus on what’s important to you. Signing up to use the FlashMop app and book your clean is completely free and always will be. No need to ring around for quotes from different cleaning companies, simply browse Cleaners in your local area and book! Find a great Cleaner right when you need one with our instant, on-demand booking system. With our cashless and secure payment gateway, you don’t need to worry about taking cash out or organising payments. 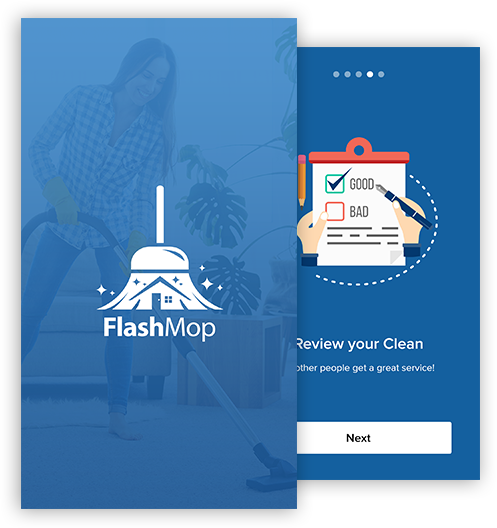 FlashMop has a fully transparent rating and review system, and Cleaners must maintain an excellent rating in order to use the app. Booking a clean with FlashMop helps everyday Australians support themselves and their families through entrepreneurship & innovation. Book your clean with FlashMop today! Just search ‘FlashMop’ on the App Store or Play Store. Add your address, home type and contact details and you’re ready to go. Find a great Cleaner in your area and book your clean when it suits you. Make sure you review your cleaner so that we can maintain an excellent service.